SignLine is a retractable banner stand with built-in Show Smart versatility. Easy, fast set-up in less than a minute. SignLine can be produced with your choice of Inkjet or Dye Sub graphics. The support pole folds up and packs into the base unit. Weighing 13 lbs., this SignLine 4' banner stand travels as a completely self-contained system in its own lightweight, signature red nylon carry bag. 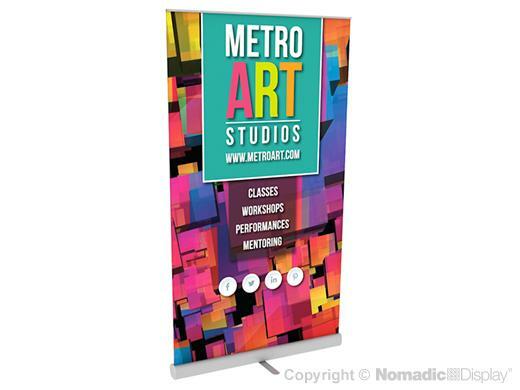 Our SignLine banner stands are backed by a One Year Warranty. 1 - SignLine Carry Bag - 50" x 4.5" x 4.5"